Hunt Valley Business Forum - Is Your Business Ready for The Future? The HVBF Finance Roundtable seeks to provide a broad understanding of finance as it applies to business and economy. Please join us as we discuss the Economic Development in Maryland and determine if your business is ready for the future. 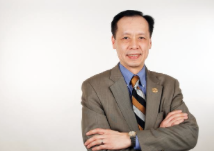 Benjamin H. Wu, is the Deputy Secretary of the Maryland Department of Commerce and is an internationally recognized technology policy expert with more than 25 years of experience and management leadership. Wu has worked on behalf of the State of Maryland at the highest levels of federal and state government, as well as in the U.S. Congress, on issues related to innovation, competition, technology commercialization, international trade and economic development. Interested in Sponsoring an HVBF Event? Please Contact Us!